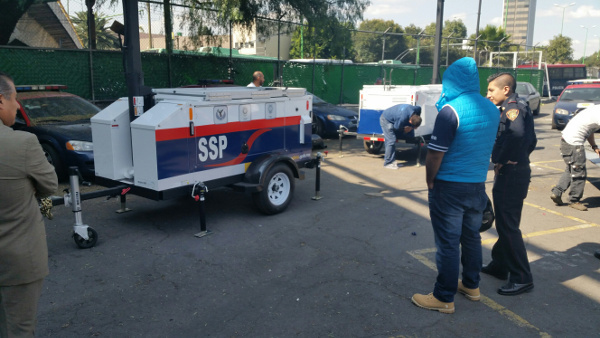 Mobile Pro Systems, in partnership with our local authorized dealer in Mexico, delivered two Commander 3400 Surveillance Trailers to Policia Bancaria E Industrial (PBI) of Mexico City. 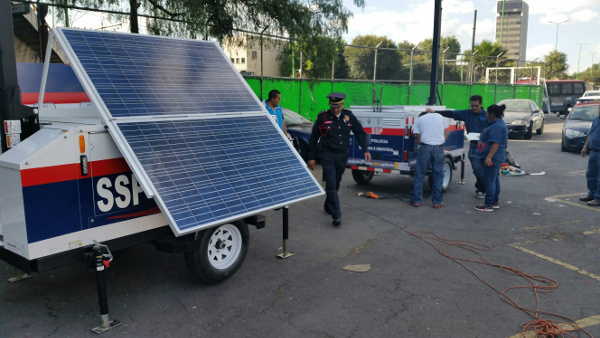 PBI plans to deploy the trailers in high crime areas, to monitor special events and high traffic areas. The trailers will provide them with enhanced surveillance and live monitoring back at the PBI Command Center. Since the Commander 3400 Trailers have an on-board generator charging the self-contained battery system, these flexible solutions can be deployed anywhere with worrying about local power. The cellular enabled communications allows live viewing wherever the trailer is deployed. Mobile Pro Systems was on-site for three days assisting with system setup and integration with PBI’s Command Center.